The 2016 Effie Awards Croatia were presented on April 15, in conjuction with the central Croatian advertising festival, Days of Communications, which took place from April 14-17. This year's entries made it a tough competition. The Grand winning campaign was presented to Zagrebačka pivovara, BBDO Zagreb and Universal McCann, for their "Dijalekti" campaign. Silver Effie Awards were given to Grey Worldwide Zagreb, Utorak, Biro za propagandu, and MediaCom Central Europe Zagreb for their "Erste gotovinski krediti online" campaign for Erste bank, and to Hrvatski Telekom, McCann Zagreb, and MediaCom Central Europe Zagreb for their campaign "Nevjernici" for Hrvatski Telekom. Bronze Effie Awards were given to BBDO Zagreb and MediaCom Central Europe Zagreb for their "Simpa kokice – Prži kako hoćeš!" campaign for Hrvatski Telekom, to Bruketa&Žinić OM and Brandoctor, and Pro media group for their "Komšija" campaign for Auto Zubak, and finally to HEP, McCann Zagreb, Fahrenheit, and Real Grupa for their "mHepi" campaign. 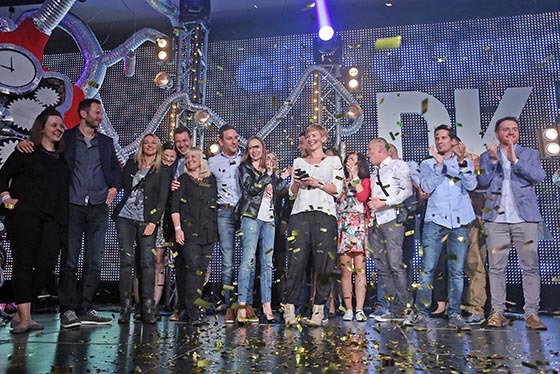 The most successful agency of the year for the Effie Croatia competition was BBDO Zagreb, which won the Grand Effie, one Gold, and one Silver Effie award. They were followed by McCann Zagreb who won one Silver and one Bronze Effie award. This year's winning campaigns were decided by a jury of experienced Croatian marketing experts, which included representatives from advertisers, creative and media agencies, the media, and market research agencies. Mr. Kristijan Gregoric from Franck served as jury chairman. The Croatian Effie Awards are organized by HURA (Croatian Association of Communications Agencies).